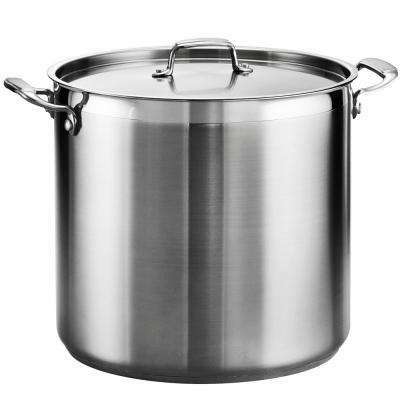 A stock pot is a vital kitchen tool for professional chefs and beginner cooks alike. 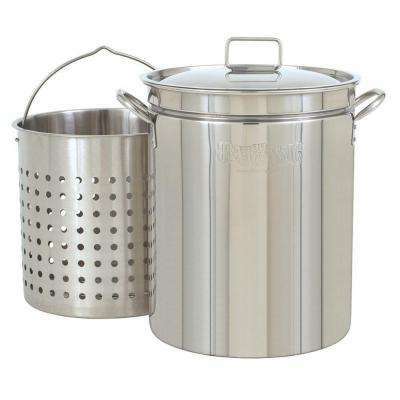 Used to cook stock or broth, which is the foundation of many recipes, these pots are typically wide and tall with handles on either side. 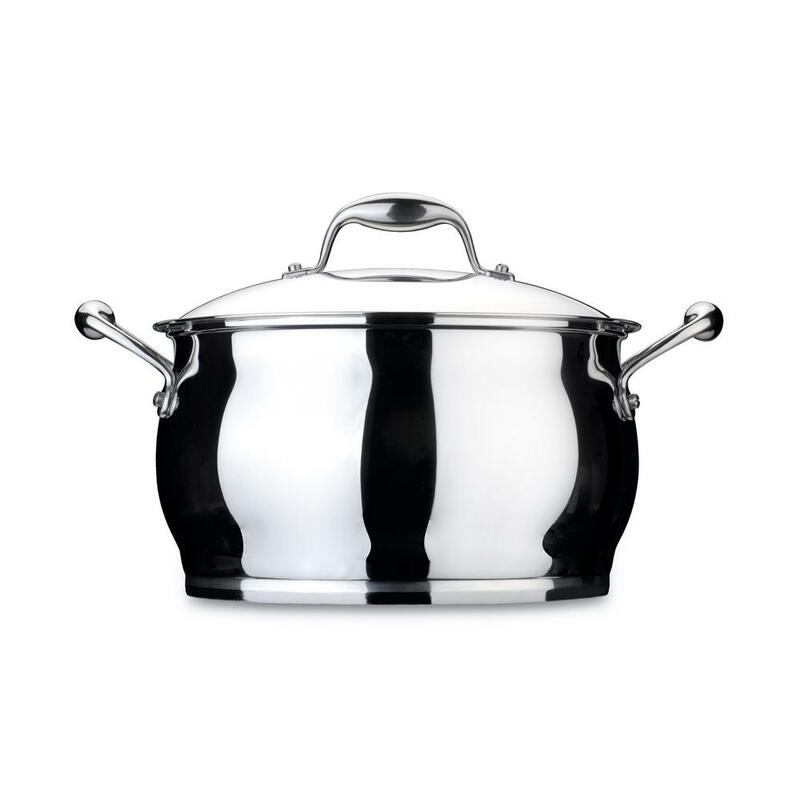 Here’s how to choose the best pot for your kitchen. 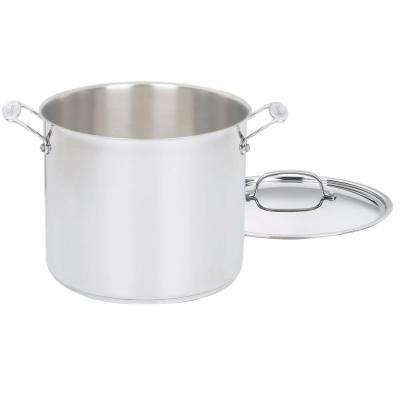 These mainstay soup pots aren’t just for stock. 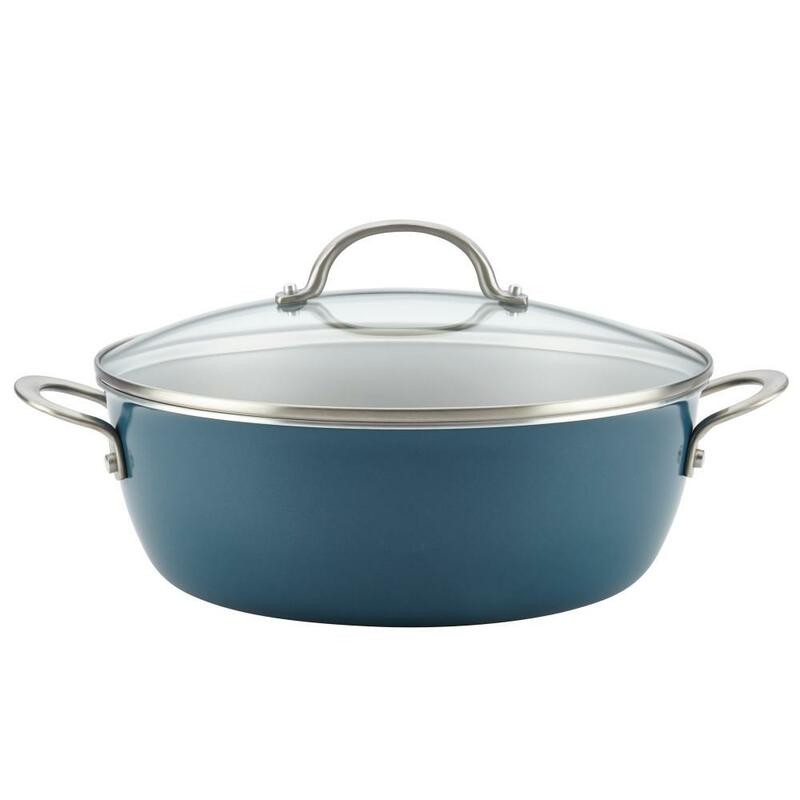 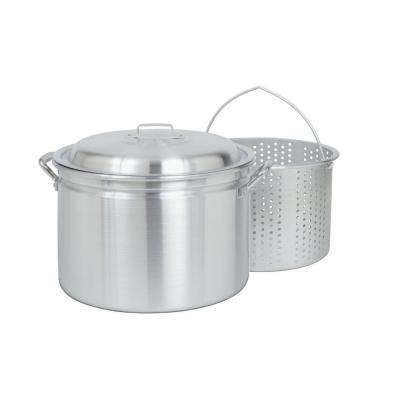 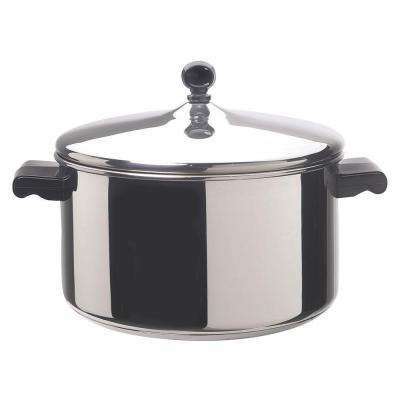 A stock pot with a lid is also perfect for cooking stews and porridge, boiling foods, steaming shellfish and more. 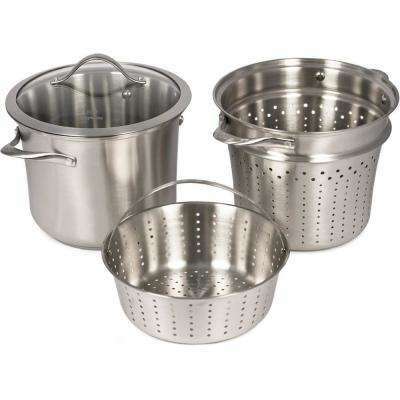 Stock pot accessories can make them even more versatile. 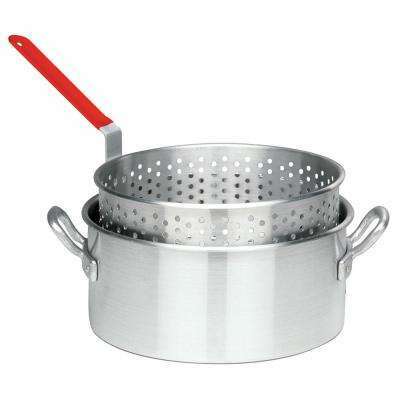 For example, choose a stock pasta pot with a strainer basket to drain spaghetti in a snap. 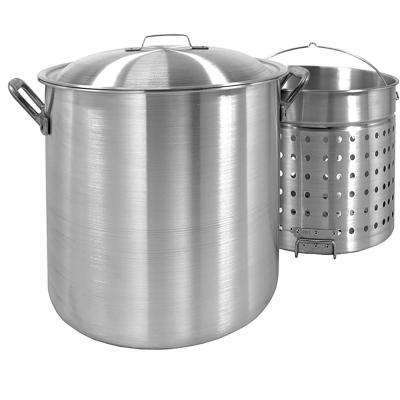 Or choose a steamer insert or double boiler option to cook vegetables or dumplings. 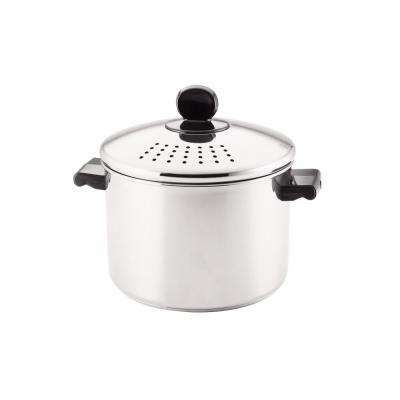 Just place it on top to help steam your recipes without overcooking. 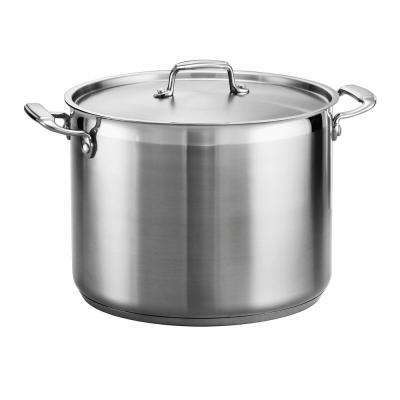 To choose the right size, consider the types of meals you typically cook as well as the number of people you serve. 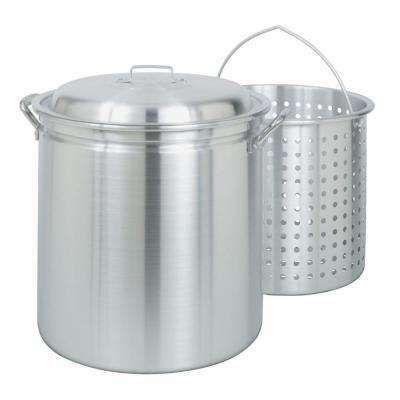 Also, keep cleanup in mind. 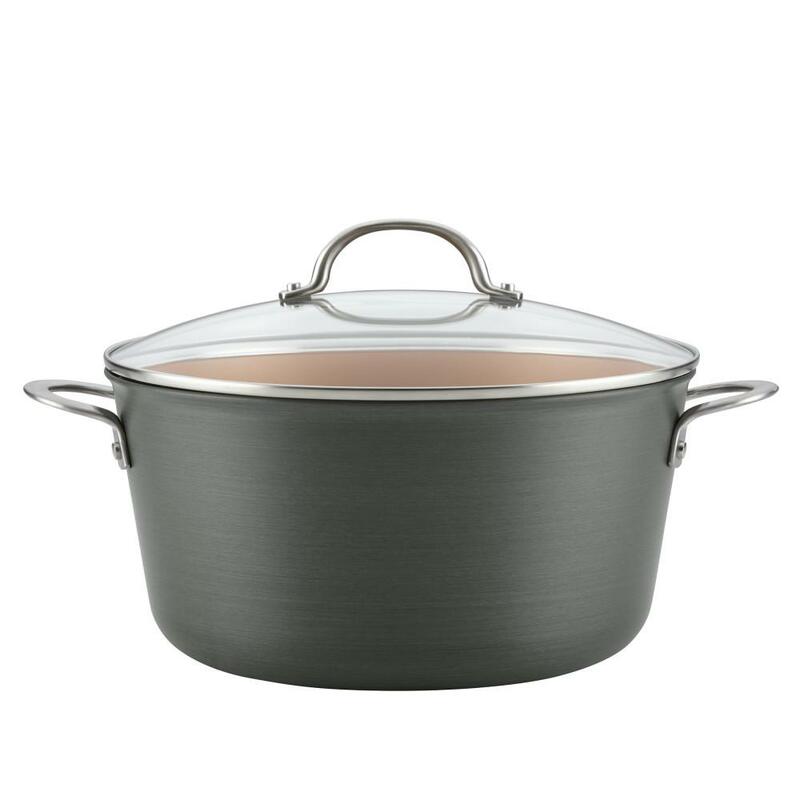 While many stock pots are dishwasher safe, bigger versions won’t fit in the machine. 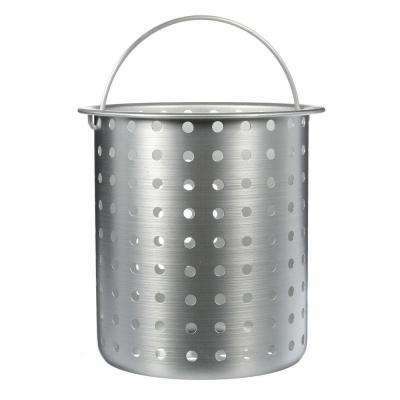 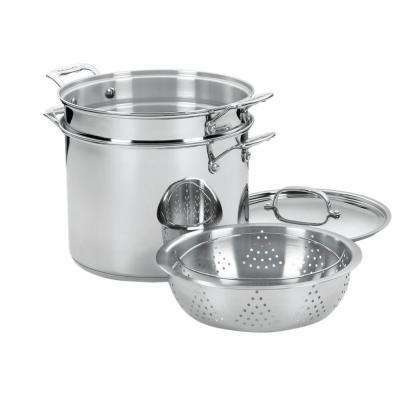 •	For large pasta dishes, use an 8-quart pasta pot with a strainer. 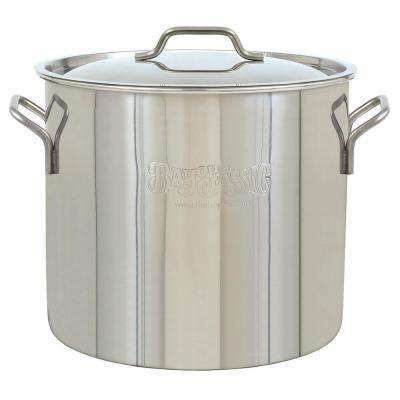 •	Choose a 20-quart stock pot for large holiday gatherings or big events. 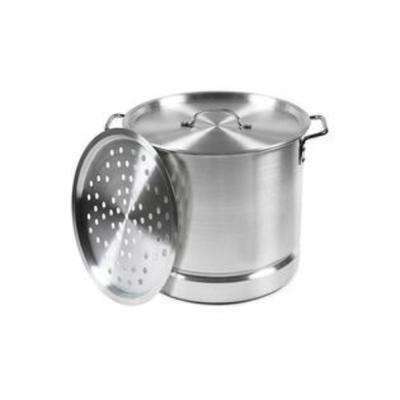 Or use it to make family favorites like chili, and freeze the leftovers. 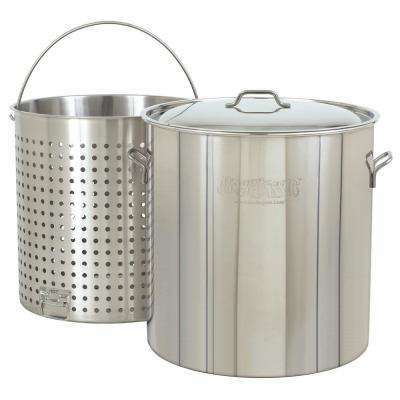 •	For smaller dishes, like steamed veggies, use a 2-quart steamer pot. 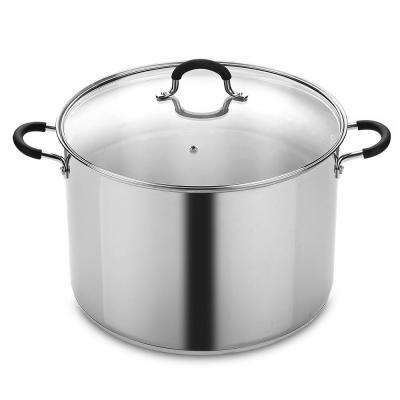 Pots and their accessories are made of different materials. 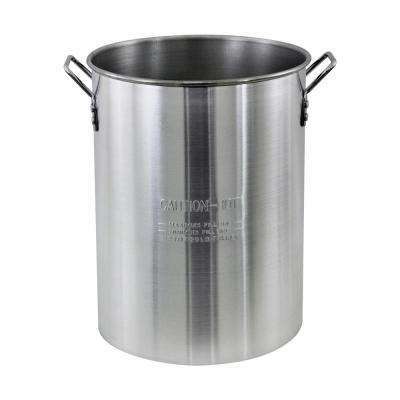 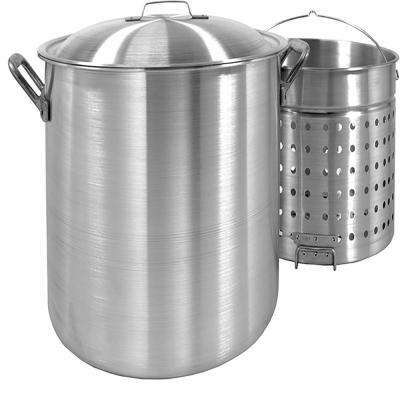 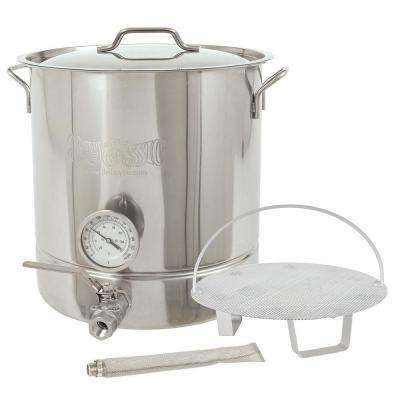 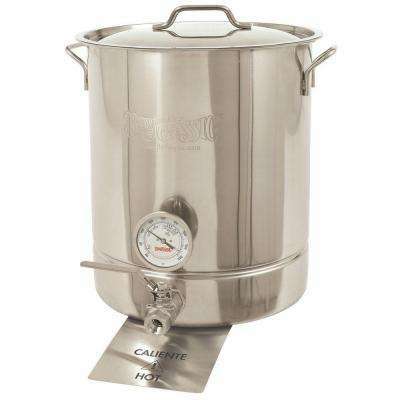 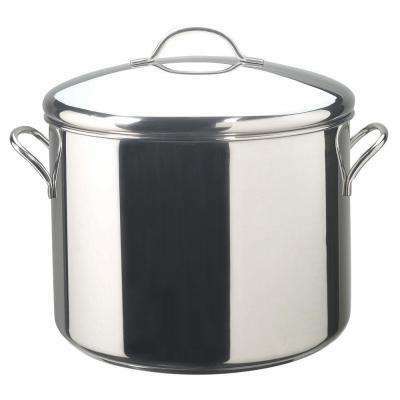 Stainless steel stock pots are durable, and can better preserve the flavor of a soup or base. 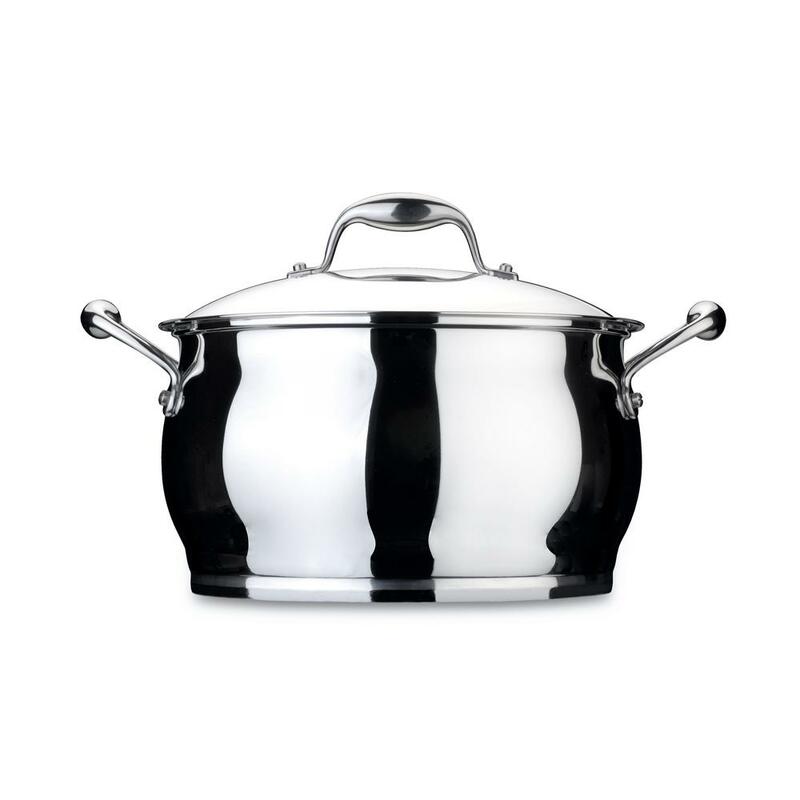 For a lower-cost, more lightweight option, choose an aluminum, non-stick stock pot. 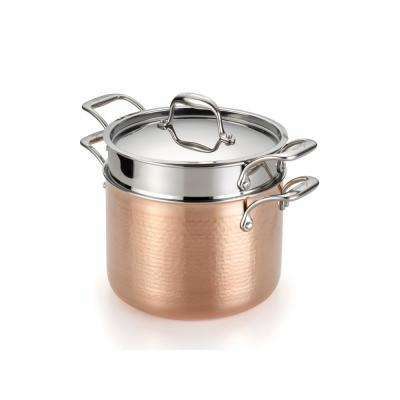 If you have a farmhouse style or modern kitchen, go with a copper stock pot. 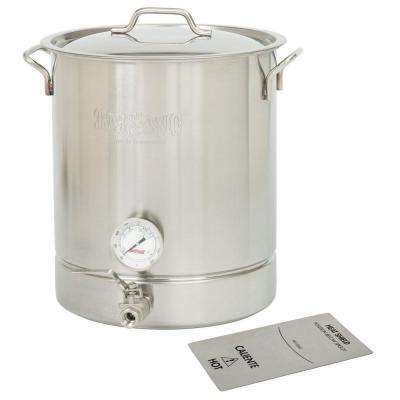 It will give you more precise cooking temperatures as well.